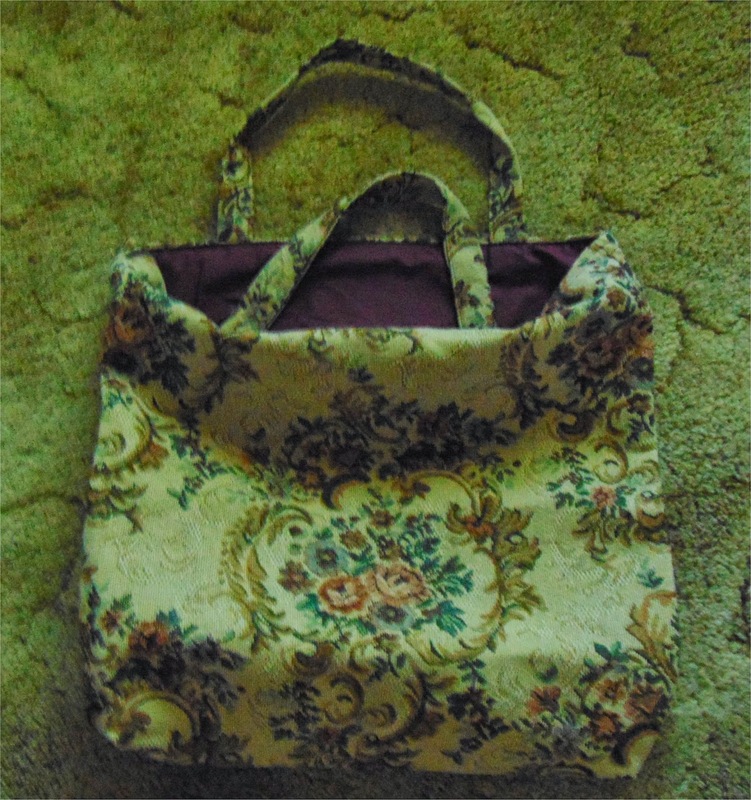 A well-made tote bag at a crafts show caught my eye and my purse strings, and I tried to use it the other day. It has no stiffening in the bottom, so I set about to fix that with plastic canvas. Rather than take the bag apart to place the plastic canvas between the lining and the inside of the bag, I just added the plastic canvas to the bottom of the lining by stitching the ends securely on the sewing machine. I’ve used plastic canvas before for sewing crafts, so I know it sews easily with regular thread and the straight-stitch presser foot. Turn the lining of the bag to the outside. 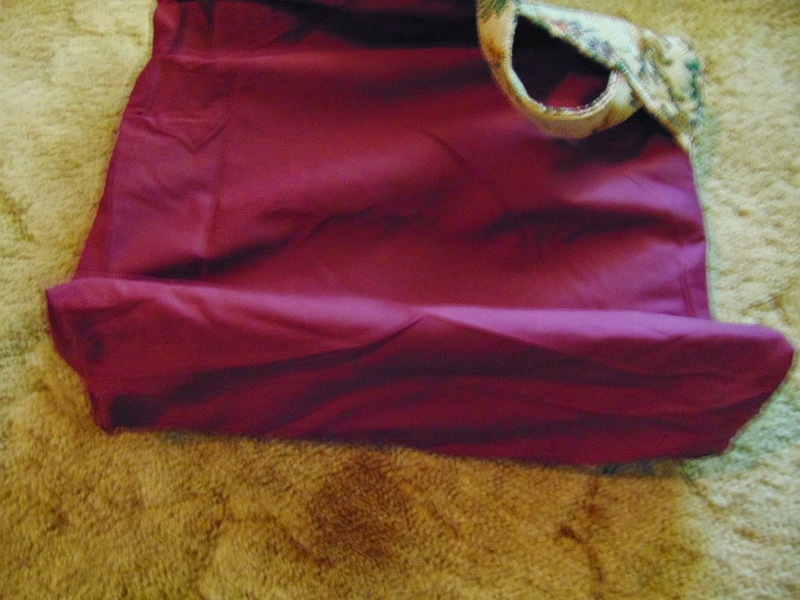 Measure the length of the bottom side seams and the length of the bottom of the bag. You’ll have rectangular measurements to apply to the plastic canvas. If you have a tote bag with a round bottom, you’ll need special round plastic canvas for it. Cut the plastic canvas close to a solid row (so the prongs aren’t sticking out) in the approximate size of the bottom of the tote bag or purse. Lay the plastic canvas on top of the lining of the tote at the side seam and place under the presser foot with the plastic canvas on top. 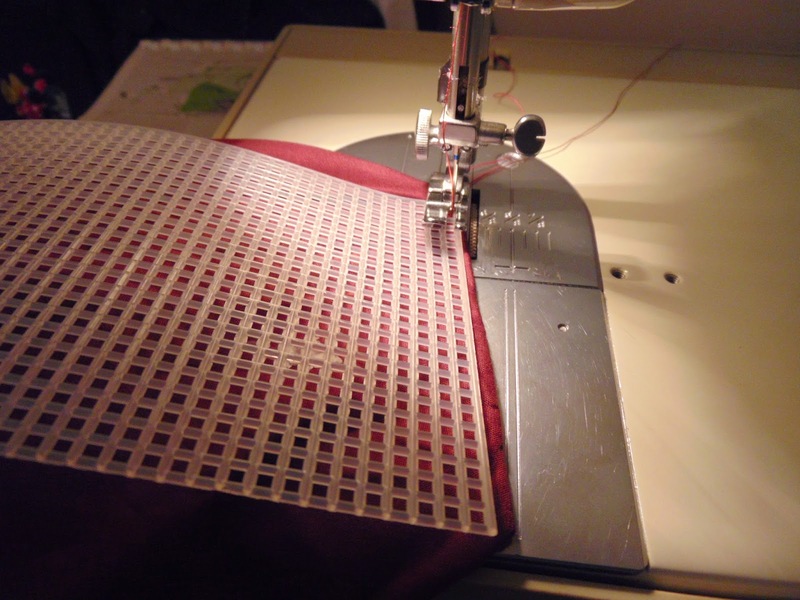 Stitch down the side of the lining and on top of the plastic canvas to the end of the side seam. Pivot the fabric and plastic canvas and stitch through the same area again. Tack with a backstitch and cut the thread. Check the size of the plastic canvas again. You don’t want it to buckle because it’s too long for the bottom of the bag. 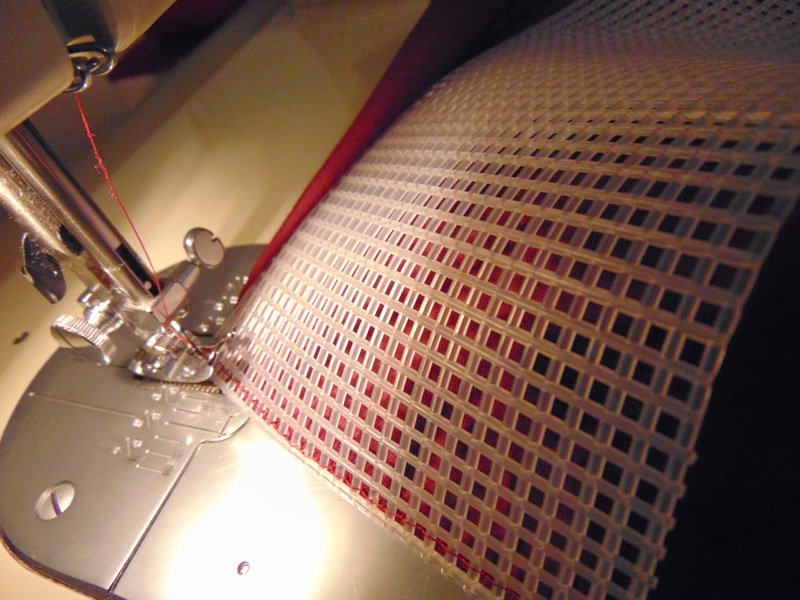 Trim a row or two off the plastic canvas end if necessary. Stitch the other side the same way as the first, sewing down the edge of the canvas and lining seam, pivot and return to the place you started. Tack with a backstitch and cut the thread. Check your work by returning the lining back inside the bag. You don’t need to stitch the long sides because you’re just trying to keep the plastic canvas from sliding around or coming out when you dump the contents. Plastic canvas isn't as heavy as I like for the bottom of a tote bag, but it works better than no stiffening at all. I like a piece of hard plastic or stiff cardboard, but both of those have drawbacks. The hard plastic breaks and the stiff cardboard can't get wet, so the plastic canvas is an alternative that allows the bag to sit with a little structure instead of taking the shape of the objects in the tote. It won't break and water won't damage it. 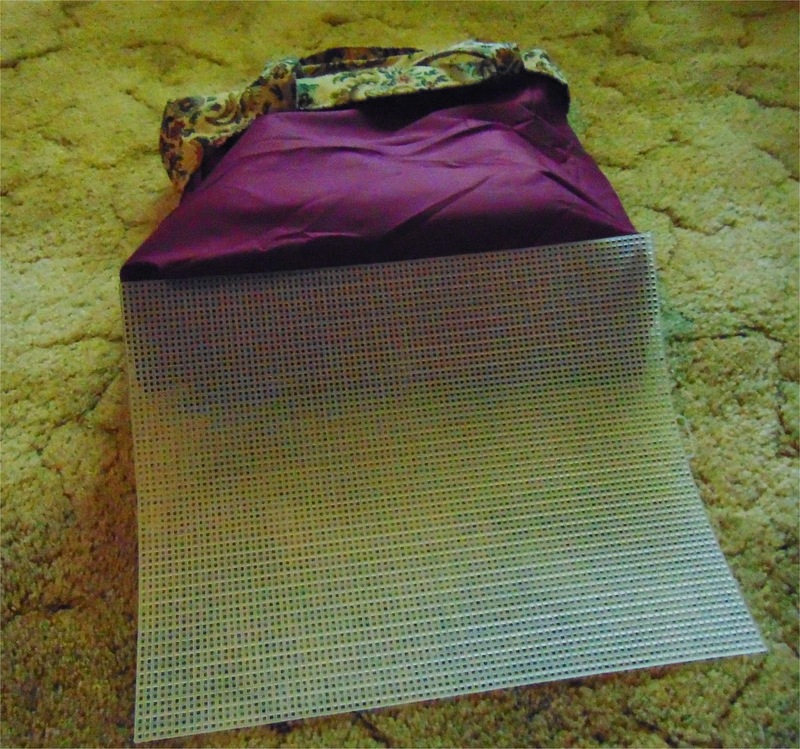 The next time you need stiffening for a crafts project, consider plastic canvas. It's almost indestructible, easy to sew and comes in several different colors. It's available at your nearest hobby store.